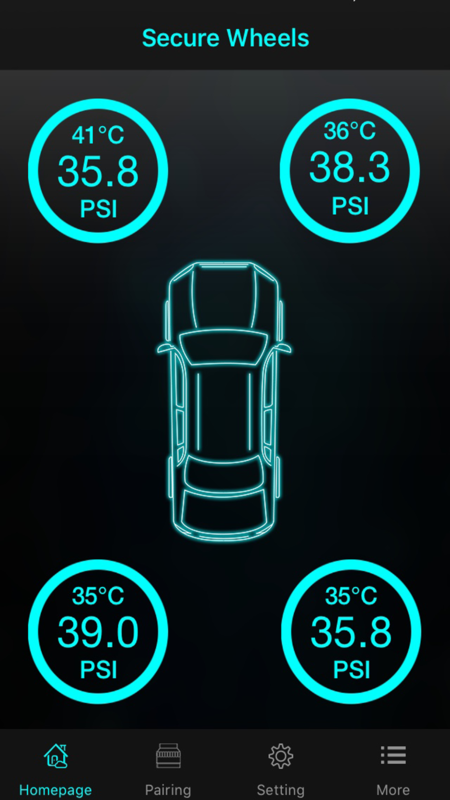 This App receive the data from Bluetooth Adaptor which collect all 4 sensor data to Monitor Car tyre’s pressure and temperature in real time. The APP work in background to make sure the car safety. When the tyre is abnormal and the driver has not seen or deleted the alarm, App will remind of the driver again after a time. 1. Automatic sound and flash alarm within six seconds after abnormal phenomenon appears, such as too high or too low tyre’s pressure or leakage. 2. 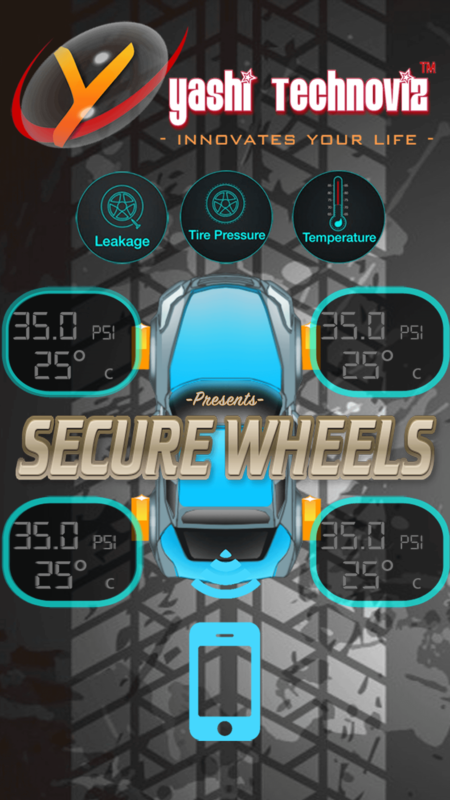 Automatic sound and flash alarm six seconds after tyre’s temperature becomes too high (exceed 75℃). 4. The waterproof and dustproof sensor can be used under awful condition. 5. The tyre’s pressure monitoring criterion can be customised. 9. 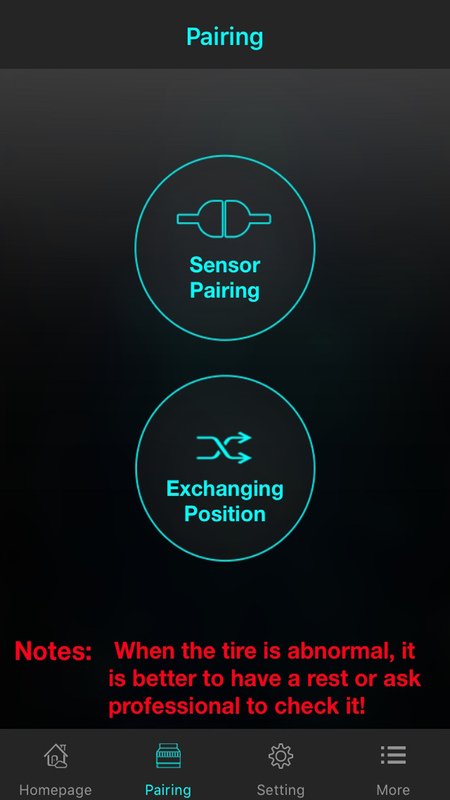 Sensor is designed as a separate fitting. It can be fixed on the valve, no need to disassemble the tyre when mounting it. 10. 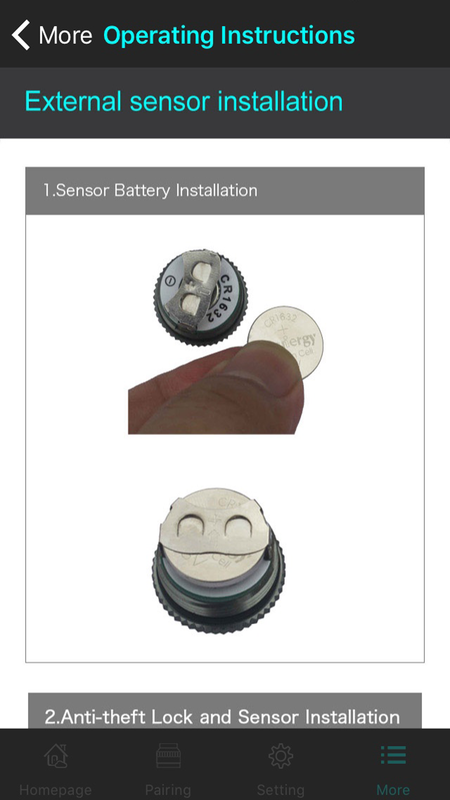 User can learn to displace the sensor easily, no need to mount it in procedures. 11. Guard against theft and alarm system is available for sensor. 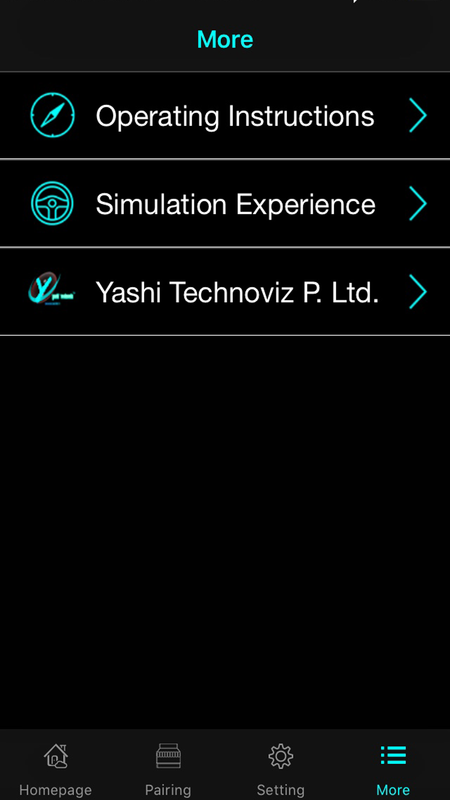 Suitable for passenger cars, can monitor four wheel-tyres simultaneously. 15. Support Bluetooth 4.0 BLE . 1. Monitor Air Leakage, Pressure, Temperature in Real Time. 3. Improve Tyre’s Life and Safety.